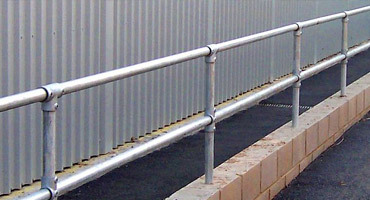 Our Vertical Bar Railings are a robust yet aesthetically pleasing railing system and with all steel work galvanised and polyester powder coated you will have a system which out lasts most other fence types. Typical installations include retail parks, recreational grounds, sports fields, school boundaries and office car parks. The panels are fully welded and comprise two horizontal flat bars or RHS rails and infill is normally vertical tube, solid round bar or square hollow section. Tops can be blunt top or pointed depending if you require a security aspect to your boundary fencing. Other decorative vertical bar heads are available. Please ask on enquiry. Finish: Hot dipped galvanised only or galvanised and polyester powder coated to a colour of your choice. 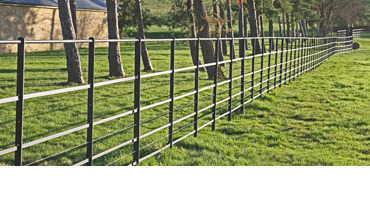 Our Quickclamp is a versatile, multi-purpose fencing system using malleable cast iron fittings. 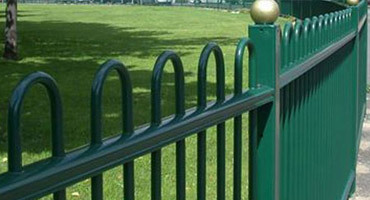 Our Vertical Bar is a robust barrier fence and has the same style as the bow top but with vertical sections. Bow top fencing is named after the hooped finish at the top of the fence and is commonly used as a perimeter fence. 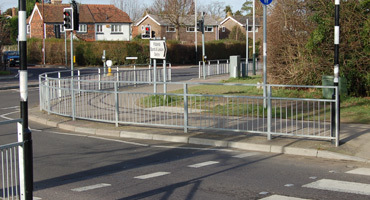 Designed to protect pedestrians at road junctions and crossings, our pedestrian guardrail is also ideal as perimeter fencing for running tracks and play areas. 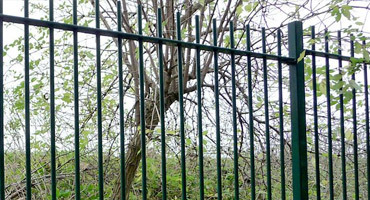 Our Estate Fencing usually used for estate and country park railings, a modern reproduction of the traditional iron railings.